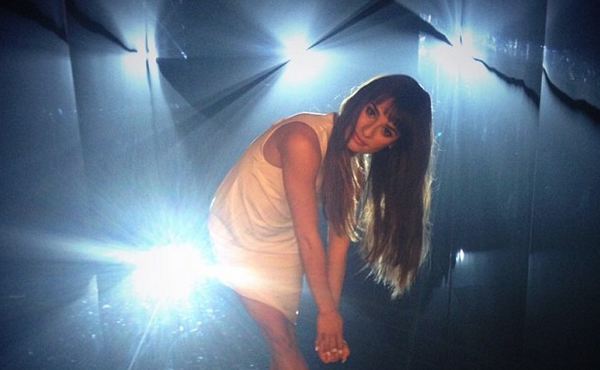 Lea Michele is back with her second single, “Battlefield,” off of her upcoming album, Louder. Prepare to be emotionally wrecked. Glee‘s megastar Lea Michele has released the audio for the second single off of her upcoming debut album and we’re in awe. “Battlefield” may just turn out to be the breakup anthem of 2014. Yes, it’s that good and sure to be all over the radio in the coming months. The track is emotional and heart-wrenching. Michele‘s vocal strength has always been best showcased in more emotionally charged songs. “Battlefield” brings that talent home. Backed by only piano, Michele’s voice will break hearts already bruised from love gone wrong. The war theme seems to carry over from her first single, “Cannonball.” However, where the first was uplifting and inspiring, “Battlefield” may only inspire breakups and fleeing from the relationship battlefields Michele references in the song. The single was made available on Dec. 28 to anyone who pre-ordered her upcoming album, Louder, from iTunes. And you can also hear the entire song below. Louder doesn’t release until March 4, but there are plenty of other ways to catch Michele’s remarkable talent. She’s still performing regularly on Glee and is also the voice of Dorothy in the upcoming animated movie, Dorothy of Oz. Adding to her already impressive spring, Michele also has a novel, Brunette Ambition, set to release in the coming months.